Today we’d like to introduce you to Terri Weston. Terri, please share your story with us. How did you get to where you are today? Ever wonder why some areas of your life seem to flow with innate and natural ease while others seem to provide the same lesson over and over again? Find yourself facing the same challenges with love, money, career, or relationships? In other words, how did things get the way they are and what is the best direction for living intuitively and abundantly? Yep, I get it. Sometime being human is a tough job. You want to make wise choices but your inner wisdom is muffled. You wish you were more sure and confident in your decisions, and another intuitive voice would be extremely helpful. I believe intuition provides practical guidance for navigating life’s chaos and crossroads with clarity and confidence. What my clients experience during their intuitive sessions is not only an enhanced psychic awareness of their circumstances, but access and development of their own intuitive and innate wisdom. They gain insights into the origins of their accomplishments, conflicts, and challenges. And by identifying these, I show how these have played a part in their joys and struggles, as well as intuitive messages of what they can do to better their lives. My life’s path to this work seems rather ordinary compared to many standards. I was not struck by lightning nor traveled across the world to reside in an ashram. Nor did I have a near-death experience. Although I appreciate others’ unique journeys to their callings and yellings, their stories are not mine. During some inexplicable head-tilting experiences including divorce, a mid-life career change, and caring for aging parents, let’s just say my Creator and I have had some heated discussions. But, hey, at least we were still on speaking terms. Through this, I became a student of life, reading more self-help books than I care to admit. And during this time, I met with intuitives of varying backgrounds and traditions that were generous with their knowledge. As practices became applications, my friends were amazed at the accuracy of the insights that came through. Using the clairs (including clairvoyance, clairsentience, & clairaudience) along with traditional playing cards, numerology, and automatic writing, I work as a conduit, passing along intuitive messages and practical insights for helping you view your present with greater clarity, detect hidden roadblocks, identify life trends, rid limiting patterns, improve your relationships, and move forward with clarity and confidence. With clients worldwide, Spirit provides me with the messages to pass along regardless of where you reside. So whether you meet with me at my office or we connect for your session by phone, you’ll receive intuitive messages with love, relevance, and an everyday practicality for creating positive and lasting change. When describing what I do for my clients, I like to use the analogy of the road trips we used to take as kids. The family would load into the car (for me the brown station wagon) with snacks, games, and baggage, along with directions on how to get to our destination. So for a moment, imagine your life as a road trip from say Los Angeles to New York City. Without a map or a working or activated GPS, you would probably experience some missed turns and detours on your journey. And at times, you may even become discouraged or disoriented as it may take a bit longer to reach your destination. You want to make wise choices but your inner GPS seems jumbled. You wish you were more sure and confident in your decisions, and another intuitive voice would be extremely helpful. 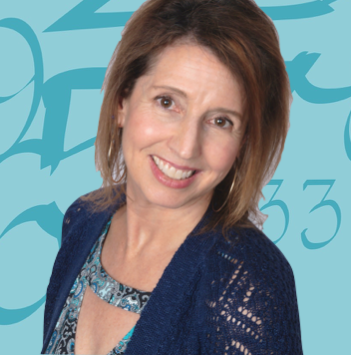 And in 2016, I began an offering of simple and fun resources for helping those on their journeys into their personal intuitive development including my book “Your Personal Success Quotient” and my online course “Psychic & Intuitive Living by Your Numbers with Numerology”. Tested and approved for accuracy and ethics by professional associations and organizations including Shay Parker’s Best American Psychics, Certified Psychic Society, and Best Psychic Directory, I help my clients gain clarity and direction through my private readings, as well as DIY tools for accessing and (re)activating their own intuitive GPS for innate wisdom and practical guidance. With a bachelor’s degree in Economics and over 15 years in Finance, I have found my work as a psychic a shout from my soul. And help others discover or validate the shout in theirs. I have two grown children and enjoys laughing, funky fests, martial arts, Chicago sports, swing dancing, and long walks with my dog, Scruffy. My little dog and I provide pet therapy helping elderly patients recover from or better cope with health issues.